Indicated in the oral fluid and electrolyte replacement in patients with dehydration particularly associated with acute diarrhea of various origins. Sueroral belongs to a group of medicines called formulations of oral rehydration salts. Sueroral is indicated in the oral fluid and electrolyte replacement in patients with dehydration particularly associated with acute diarrhea of ​​various origins. The goal of treatment with this oral serum is to rehydrate the patient and maintain hydration by replacing subsequent losses caused by diarrhea, vomiting and normal loss of water until you can resume proper nutrition. You should consult a doctor if worsens or does not improve after 5 days. If you are allergic to the active substances (anhydrous glucose, sodium chloride, sodium citrate dihydrate, potassium chloride) or any of the other ingredients of oral rehydration salts (listed in section 6). - When parenteral rehydration is indicated, as in cases of severe dehydration and continuous or frequent vomiting, since in this case is not appropriate Sueroral administration. - If you regularly consume cow's milk should not take more than 150 ml every four hours, and if diarrhea worsens, you should discontinue its use and replace it by another protein food. - You can eat normal food when diarrhea is corrected. - The breast-feeding should continue between the administrations of oral rehydration solution. Tell your doctor or pharmacist if you are taking or have recently utilizdo or might take any other medicines .. They should not be given purgatives. Sueroral not affect your ability to drive or operate machinery. This oral serum contains glucose. If your doctor has told you have an intolerance to some sugars, contact your doctor before taking this medicine. Patients with diabetes mellitus should be aware that this medicine contains 20 g of glucose per envelope. Patients with sodium diet should note that this product contains 2000mg (90mmol) sodium per sachet. Patients with renal impairment or with potassium diet should be aware that this medicine contains 780mg (20mmol) of potassium per sachet. This medicine may cause allergic reactions because it contains yellow dye orange S (E-110). It can cause asthma, especially in patients allergic to aspirin. Follow the instructions exactly this medicine provided by your doctor or pharmacist. If in doubt, refer back to your doctor or pharmacist. It sueroral be taken drunk dissolving the contents of each envelope provided in one liter of drinking water. The solution should be prepared and administered at room temperature. The water, if deemed necessary, may have been previously boiled but not after preparation. not be added other ingredients such as sugar. The recommended dose of this oral serum is about 1-1.5 times its usual amount of feed. The infants who were administered 150 ml of solution per kilogram of body weight in less than 24 hours should drink water frequently to quench thirst. In children, especially if they are weak or have vomiting, it is convenient to administer the solution at a rate of 25 to 30 ml at intervals of 10 to 15 minutes. In cases of great weakness it can be administered by gavage solution. If dehydration is scarce and in children under 2 years old, the first day of a water treatment alone will be administered every two shots Sueroral solution, all of the same volume. In the following days, drink water frequently. The recommended dose is 200 to 400 ml of solution per loose stool. There is no recommended daily maximum dose so that the solution can freely administered as sick thirst regulates the amount of Sueroral. The recommended dose is the same as for adults. In this case it is not necessary dose adjustment. In patients with impaired renal function it should not take in any case this oral serum. In patients with very frequent diarrhea will be encouraged to drink very weak and we must help them. In cases of severe dehydration are treated intravenously with Ringer serum or saline, once overcome the shock and the patient can drink, you can continue treatment with the oral solution. Duration of treatment is recommended to continue treatment for the duration of diarrhea, and once finalized, until the doctor deems it necessary, which is usually achieved within 4 to 5 days. The symptom you will notice will be a swelling of the eyelids, if this happens you should stop taking Sueroral. Like all medicines, oral rehydration salts that can cause side effects, although not everybody gets them. The most common are vomiting, which can occur when administered too quickly. In these cases it should be stopped for 10 minutes Sueroral administration and resumed giving smaller amounts more frequently. In patients with renal impairment, overdose can lead to hypernatremia and hyperkalemia. If you experience any side effects, talk to your doctor, pharmacist or nurse, even if it comes to possible side effects not listed in this leaflet. 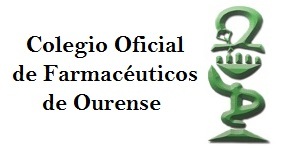 You can also communicate directly through the Spanish Pharmacovigilance System for Medicinal Products for Human Use (Website: www.notificaram.es). By communicating adverse effects you can help provide more information on the safety of this medicine. When not using Sueroral you can keep the fridge solution (2 ° C-8 ° C) and should be discarded 24 hours after preparation. Medicines should not be disposed of via wastewater or household waste. Place containers and medicines no longer required in the SIGRE Point your pharmacy. If in doubt, ask your pharmacist how to dispose of medicines no longer required. This way you will help to protect the environment. Sueroral is in the form of envelopes containing 30.261 g of each powder for oral solution. Each pack contains 5 envelopes.